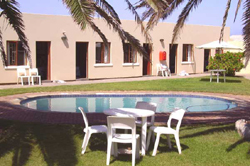 Henties Bay accommodation Guide - information and photographs of The Dune Guest House Henties Bay Namibia. 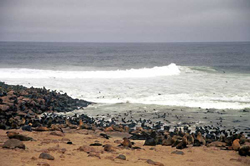 De Duine Country Hotel is within easy reach of the main attractions that Namibia's west and Skeleton Coast has to offer. Henties Bay is nestled in between the Atlantic Ocean and the Namib Desert. Situated on the beach front at Henties Bay, the The Dune Hotel is the ideal base from which to explore the west coast of Namibia. 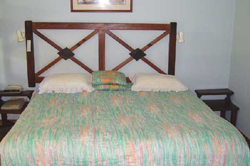 The Hotel boasts 20 en suite double rooms, an a-la-carte restaurant, residents bar, swimming pool and a conference room seating up to 50 people.